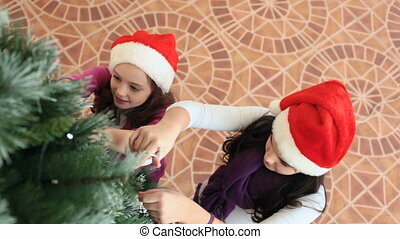 Decorating fir-tree. 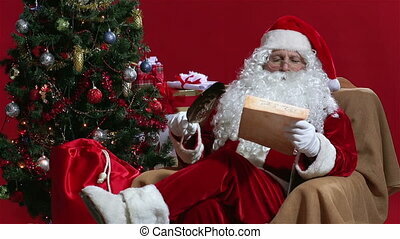 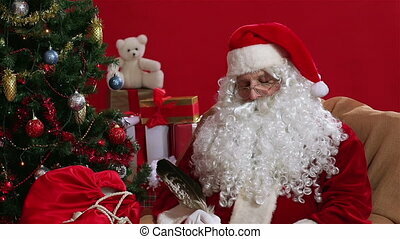 Santa decorating a fir-tree in forest. 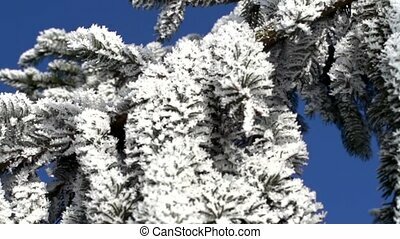 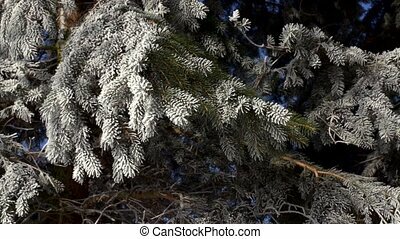 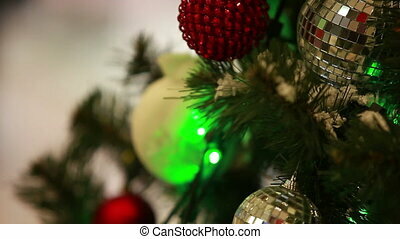 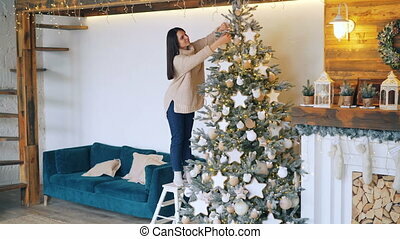 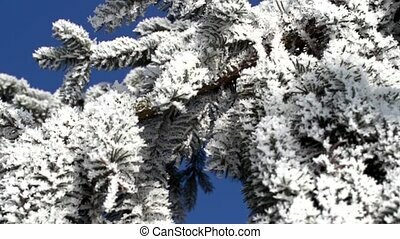 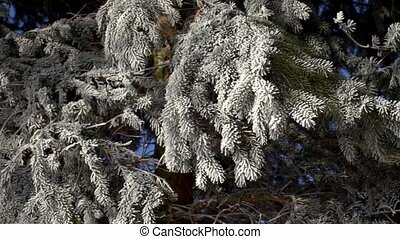 Good-looking woman is decorating fir-tree for Christmas holidays putting decorations balls and stars on branches. 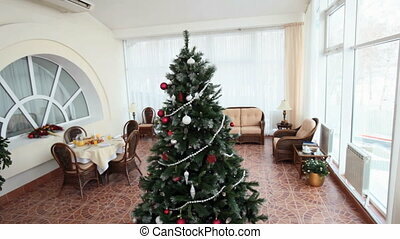 Beautiful bright lights and fireplace are visible. 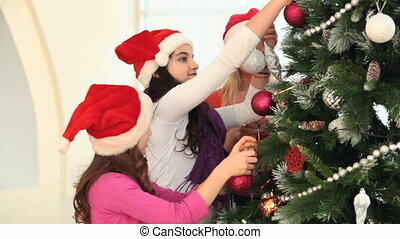 Smiling young lady is busy decorating fir-tree for New Year holidays touching balls, toys, lights and decorations creating beautiful design. 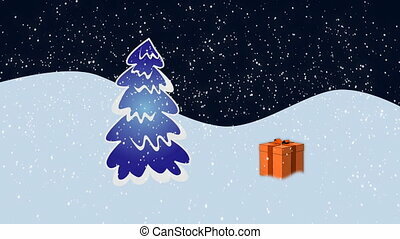 Girl is wearing warm sweater and jeans. 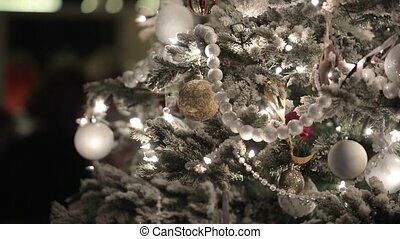 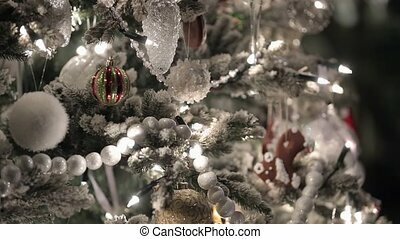 Good-looking brunette is decorating green fir-tree with beautiful balls and lights enjoying festive activity on winter holidays. 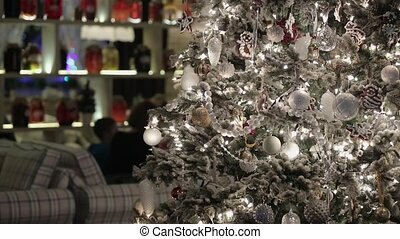 Decorated mantel and fireplace are visible. 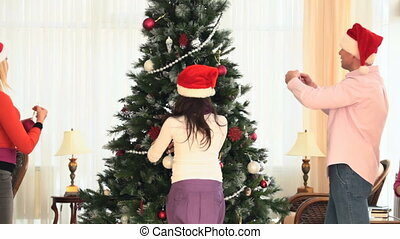 Low section of preadolescent girl in woolen white tights standing on tiptoes near Christmas tree while decorating fir tree with xmas ornament during winter holidays in domestic room.